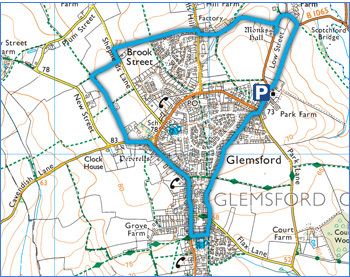 A short stoll around Glemsford. Glemsford Church. This lovely building sits up on the brow of a hill with a great view in the opposite direction. The view from the churchyard towards Stanstead. One of the oldest houses in Glemsford dating from the 15th Century. As is this one in the village centre. Plenty of interesting old houses to see here! A view across the open fields to Long Melford Church.